Light source 48 LED. 2000K (warm light) ou 2700K (warm white light). Dimmable. Dimensions W18 x D25 x H98cm. Light source 18 LED. 2000K (warm light) ou 2700K (warm white light). Dimmable. Materials HIPS housing; PMMA lightguide; Glass bulbs. Belonging to the Prop Light series created by Bertjan Pot, the wall lamp can also be used as a ceiling lamp. 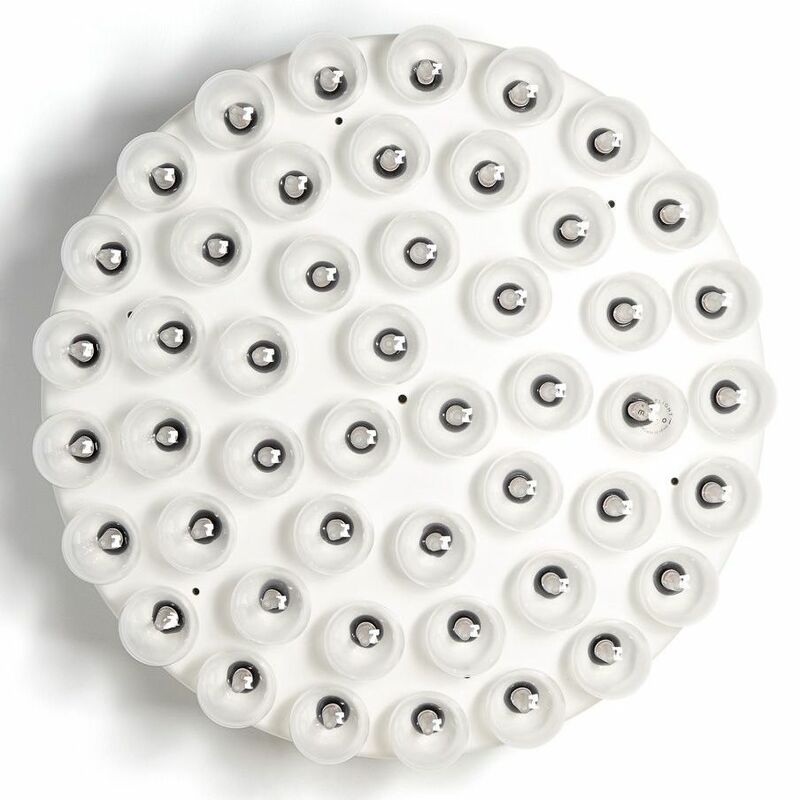 It comes in a round version with 48 LEDs, and elongated with 18 LEDs. These two wall lamps can be slanted to adapt the dispersion of light. They are proposed in 2 colours of light, in rather warm tones. Ideal for a cozy and relaxing rendering. Their original and playful appearance, with all these bubbles of glass, allows to give free rein to the imagination and to totally reinvent an interior.